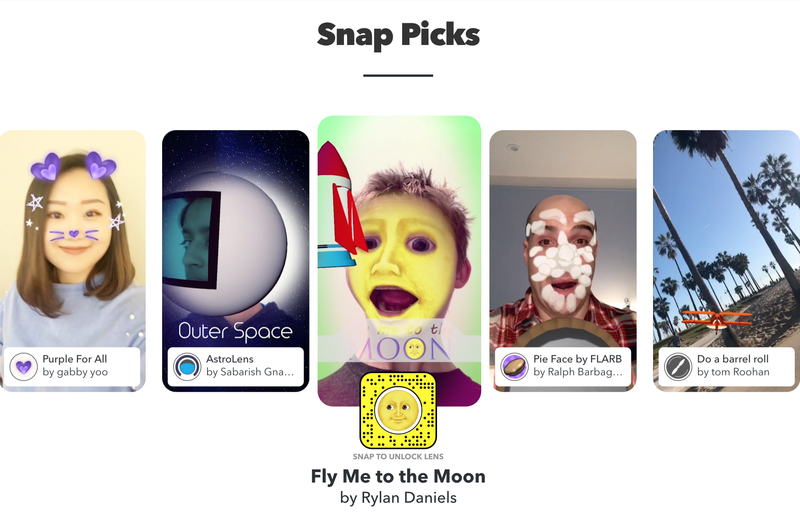 This interactive lens transforms your face into a yellow, emoji-derived, moon. When you open your mouth, an animated rocket shoots out and lands on your head, thus flying you to the moon! Face Lens Studio is an amazing software to play with. I wanted to make an impossible dream feel possible. Since I’ve always been intrigued with space travel, I thought it would be fun to have a lens transform your face into the moon. The open mouth trigger seemed like a natural way to make a rocket fly out and land on your head. So, I call it “Fly Me to the Moon” hoping that it might make people feel that they can achieve their dreams. My favorite part about developing in Lens Studio is the ability to test your app’s look in real time using the computer webcam. I remember the first time I opened Studio Beta, my jaw dropped when I could see my face interacting with various AR content. It’s so amazing to be able to edit these features live. Lens Studio is a unique AR platform that integrates really well with the Snapchat ecosystem. The ability to snap something I created, sharing it with the world, is a thrill. I will definitely be creating more lenses. In Lens Studio, I made things I thought I could never do. As of today, the lens has gotten 6,464 views, 2,542 scans, and 449 shares. You can try it by scanning the snap code below through the Snapchat app, or by opening this link on your phone: https://www.snapchat.com/unlock/?type=SNAPCODE&uuid=8ad1440e467341759ed049244d500f7d&metadata=01.